Only 500 boxes of 25 of the Villiger Flor de Ynclan Lancero will be made each year. 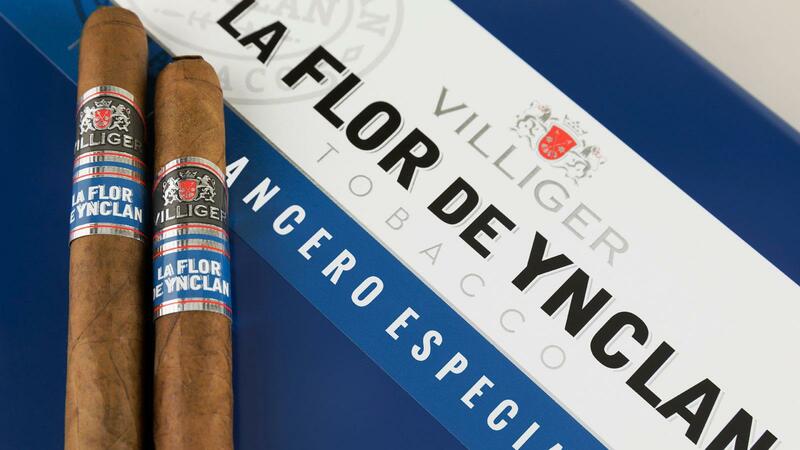 Earlier this year, Villiger teased a lancero as the first new size for its Flor de Ynclan line. The slim Lancero Especial, Cigar Aficionado has learned, will also be a limited-edition smoke. Like the entire Flor de Ynclan line, the Lancero Especial is made in the Dominican Republic at the ABAM cigar factory in Santo Domingo. Only 500 boxes of 25 will be made each year. Measuring 6 3/4 inches by 43 ring gauge, the Lancero Especial has a suggested retail price of $11 and brings the entire line to four sizes. Its blend consists of an Ecuadoran cover leaf, Indonesian binder and filler blend of Dominican and Nicaraguan tobacco. The new Lancero Especial will be formally introduced at the IPCPR trade show next month and will ship to retailers shortly afterward. “We feel that we have further refined the blend with the addition of this special-edition lancero vitola,” said Heinrich Villiger, chairman of Villiger Cigars. The Lancero has the same blend as the rest of the La Flor de Ynclan line, including the Robusto, which was named the No. 10 cigar of 2017 by Cigar Aficionado. La Flor de Ynclan is distributed by Villiger Cigars North America, headquartered in Miami, Florida.